Home Caregiving Why Seniors Are More Susceptible to Calcium and Vitamin D Deficiency? Why Seniors Are More Susceptible to Calcium and Vitamin D Deficiency? Calcium and vitamin D are extremely important for a number of body function. Unfortunately, seniors are more susceptible to calcium and vitamin D deficiencies, only accelerating the risk of falls. But what causes such vulnerability and how can seniors compensate for such a risk? Calcium and vitamin D are extremely important for a number of body functions, including blood clotting, muscle contraction, nerve function, and its most prominent and well-known role of providing structure and strength to bones. Sustaining bone strength in the elderly cannot be stressed enough, as they are already at an increased risk of falls and injury due to compromised balance and reduced muscle strength. Unfortunately, seniors are more susceptible to calcium and vitamin D deficiency, only accelerating the risk of falls. But what causes such vulnerability and how can seniors compensate for such a risk? Why Are Seniors More at Risk for Calcium and Vitamin D Deficiency? 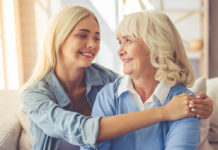 Whether it be related to memory loss, a change in taste, or an underlying illness or condition, seniors may have a reduced appetite and disinterest in food. 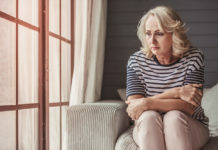 Compromised food intake ultimately puts them at risk for nutritional deficiencies, including calcium and vitamin D.
Seniors who are immobile, housebound, and institutionalized are more likely to remain indoors and lessen their frequency of sunlight exposure. Interestingly, the sun is able to produce available vitamin D when the skin is exposed, but seniors tend to lose the efficiency to do so with advancing age. Additionally, seniors have a decreased capacity to synthesize vitamin D even in the presence of sun exposure related to thinning skin. When the body ages, physiological changes follow. More specifically, seniors have an altered ability to utilize ingested nutrients related to decreased intestinal absorption of calcium. The kidneys also lessen their efficiency to retain calcium, subsequently causing increased calcium loss in the urine. The cultivation of susceptibility risk increases the calcium recommendations in seniors. 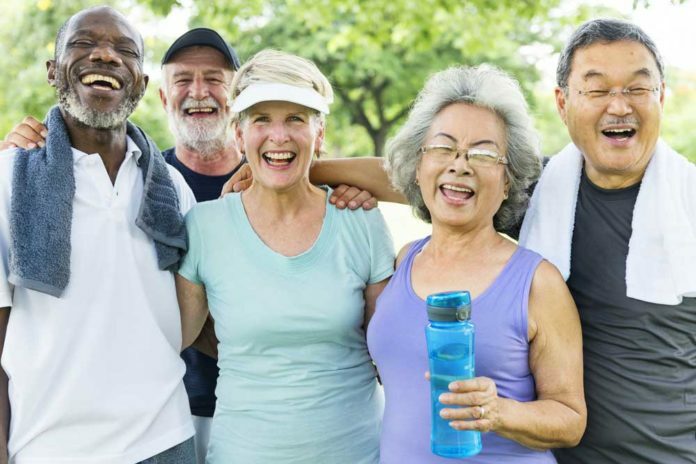 Male seniors aged 51 to 70 should consume at least 1,000 milligrams (mg) per day while females are encouraged to increase their needs to 1,200 mg. All seniors 71 years or older are recommended to 1,200 mg. Calcium sources include milk and dairy products (yogurt, cheese, etc. ), sesame seeds, radishes, sardines with bone, almonds, soybeans, collard greens, and spinach. When it comes to vitamin D, adults aged 19 to 70 should obtain 600 international unit (IU) daily while seniors aged 71 and older are advised to 800 IU. At these recommended levels, the risk of falls and injury is shown to reduce by approximately 20 percent. Vitamin D food sources include egg yolk, salmon, sardines, and fortified products, including cereal, milk, and orange juice while sunlight is also a valuable vitamin D-contributor. Especially if appetite and nutritional intake is poor, seniors may benefit with supplementation to counterbalance inadequate nutrition. A physician can better identify calcium and vitamin D levels and recommend multivitamins and supplements accordingly, as vitamin D in particular may have serious health effects if prescribed in excess. Ultimately, seniors should try obtaining nutrients from food sources, while filling in the gaps with a multivitamin and supplement as needed. Why seniors are more vulnerable to calcium and vitamin D deficiency. International Osteoporosis Foundation. 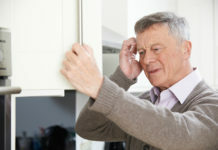 Available at: https://www.iofbonehealth.org/news/why-seniors-are-more-vulnerable-calcium-and-vitamin-d-deficiency.